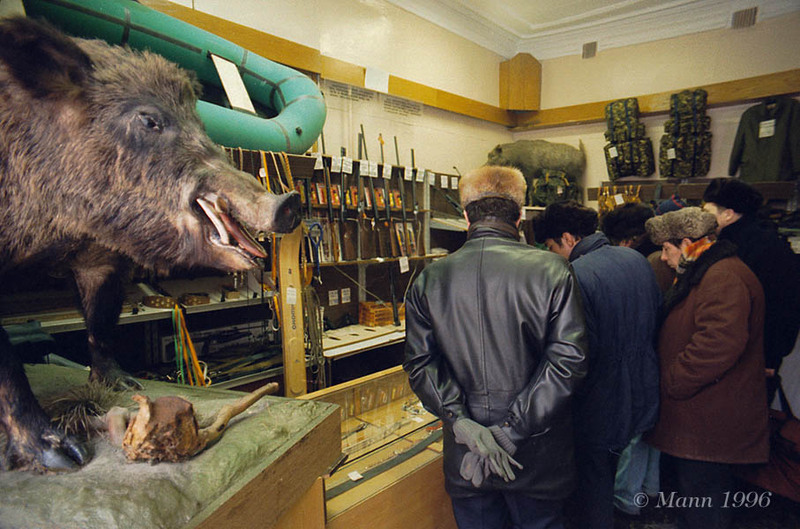 This Russian hunting shop in Moscow features a wild boar's head mounted near the front window. Hunting is a popular sport in Russia. There, is perhaps the largest remaining wildlife range in the world.